Looking on the bright (scientific) side of Roe 8. It’s one of the most controversial mass environmental disturbances in recent WA history. But, surprisingly, the scrapped Roe 8 project is not all bad news. Let’s remove ourselves from the politics for just one second. Remove all thoughts of legalities, economics, and industrial implications of the project. What remains is a great challenge and an exciting opportunity. What comes next is a world-leading environmental restoration project. Particle talked to Dr Guy Boggs, Head of Restoration at the Western Australian Biodiversity Science Institute (WABSI) about the future of Roe 8. 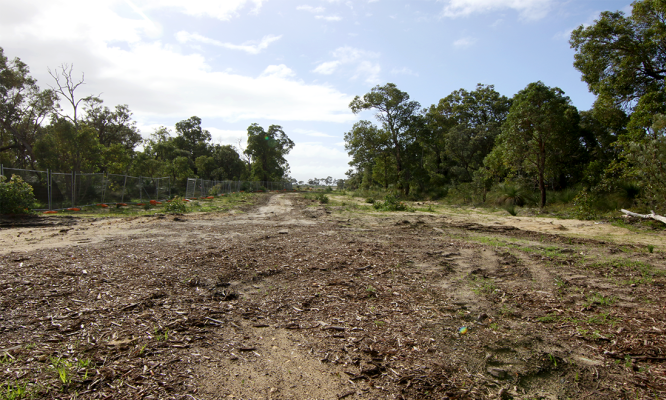 In keeping with the end goal of Roe 8, the cleared tract of land is highway-shaped. As with most highways, it is skinny and long—so long that it spans seven different ecosystems. 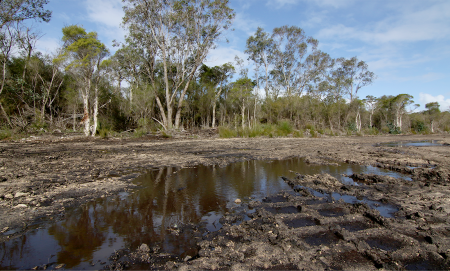 Of these, the Beeliar Wetlands featured most frequently in protests but heathlands, banksias and tuart woodlands were also cleared. Each ecosystem is (or was) composed of very different plants, which supported a range of different animals. 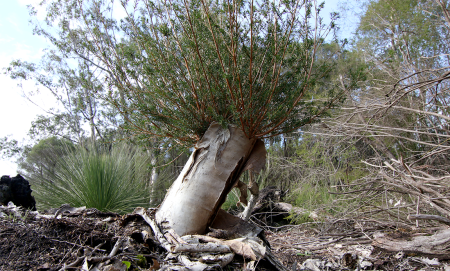 The Roe 8 site also demonstrates some examples of the many ways humans can affect ecosystems. For example, some areas of soil have been covered with piles of mulch. Other areas were repeatedly driven over by cars and trucks, and some areas were simply cleared and left exposed over summer. With so much diversity throughout the site, a one-size-fits-all rehabilitation approach is unlikely. A variety of methods will be employed to ensure the restoration is consistent throughout. Which approach works best for each different set of conditions? 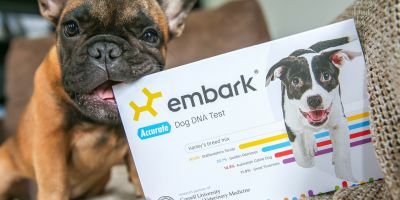 This is the perfect opportunity for scientists to find out. Restoring such a large, complex collection of environmental communities won’t happen quickly. To get the ball rolling, the government has established a Rehabilitating Roe 8 Working Group. It includes government representatives, non-profit community groups and Aboriginal custodians of the land. It also includes the Perth Urban Restoration Scientific Advisory Committee—a group coordinated by WABSI. In this group, WABSI has pooled the state’s best independent scientific expertise. 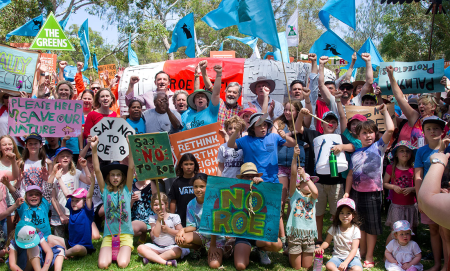 Biological and social scientists from Murdoch University, University of Western Australia, Curtin University and the Department of Biodiversity, Conservation and Attractions will contribute to restoring Roe 8, as well as future restoration efforts around Perth. “This committee is helping out with Roe 8, but basically it’s going to have a long life and will inform restoration projects across the greater Perth region going forward,” Guy explains. With the assistance of the scientific advisory committee and environment consultants currently being appointed, the Roe 8 Working Group will develop a 10-year plan to rehabilitate Roe 8. Restoration will officially commence in 2018, but you won’t find the scientists twiddling their thumbs in the meantime. Already, baseline data is being collected from the field. Mulch, asbestos and weeds have been taken care of. Too impatient for us humans, some plants have begun the rehabilitation process themselves. Little shoots have appeared like green glimmers of hope as seeds and plant remnants below the ground make their presence known. This sprouting is possible because the topsoil was never cleared—a huge win for restoration scientists. The top level of soil is also incredibly rich in nutrients and home to soil microbes that are essential for plant growth. Thanks to this topsoil, Roe 8 is actually a promising candidate for rehabilitation. Guy has great hope for the site. But it won’t be without its challenges. Scientists have to understand what was there, what is still there, what needs to be replanted and what environmental processes are driving regrowth. 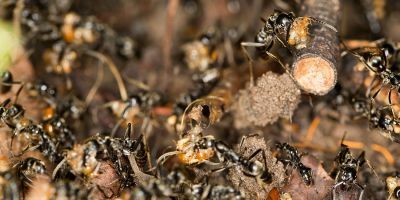 Some species with seeds in the topsoil might do OK without too much interference. Other species (like banksias, which only drop seeds after a fire) will need some special assistance. While he is looking forward to seeing trickier plants such as orchids restored, Guy is concerned with a holistic approach. Scientists will also have to determine what constitutes successful rehabilitation. Thankfully, there is already some good research to draw on from the Department of Biodiversity, Conservation and Attractions and Kings Park. Their research from similar ecosystems will be informing targets for Roe 8. Because it is an urban setting and a project that people have strong feelings about, there is a risk that people might impact the site negatively. But given the passion about the location, excluding people from the rehab project is not an option even being considered by the Roe 8 Working Group. Passionate community groups and individuals are champing at the bit to get involved in Roe 8 rehabilitation. Citizen scientists can replant, weed and monitor the site, helping both plants and scientists in their endeavours. 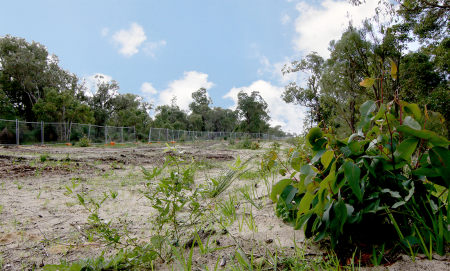 It won’t be an easy path to tread, but the Roe 8 restoration offers a chance to learn how to rehabilitate better. With the expertise of scientists and the support of communities, we just might make it work and learn something along the way. Two rare lizard species have escaped extinction, thanks to an innovative captive breeding programme on Christmas Island. Oil and gas infrastructure is a common sight off WA’s Pilbara coast, but have you ever wondered what happens below the surface?